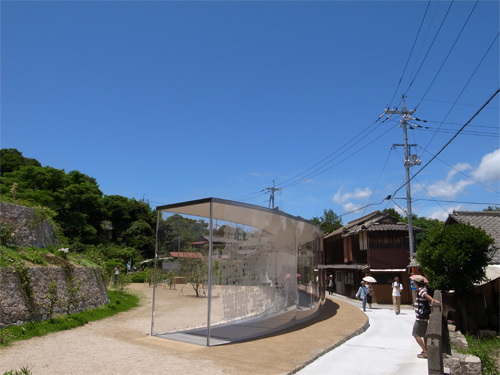 Architect Kazuyo Sejima designed three art galleries for “Setouchi International Art Festival 2010”, where artist Yukinori Yanagi’s work are exhibited. From long ago the Seto Inland Sea has played an important role as a main artery of transportation. Boats came and went bringing new cultures and lifestyles to the islands. Traditional customs and a beautiful view have been fostered in the course of the lives of the people there. The Setouchi International Art Festival is an event in which, guided by contemporary art, people can experience the healing landscape of the Seto Inland Sea and the lifestyles and cultures of the people of the islands.